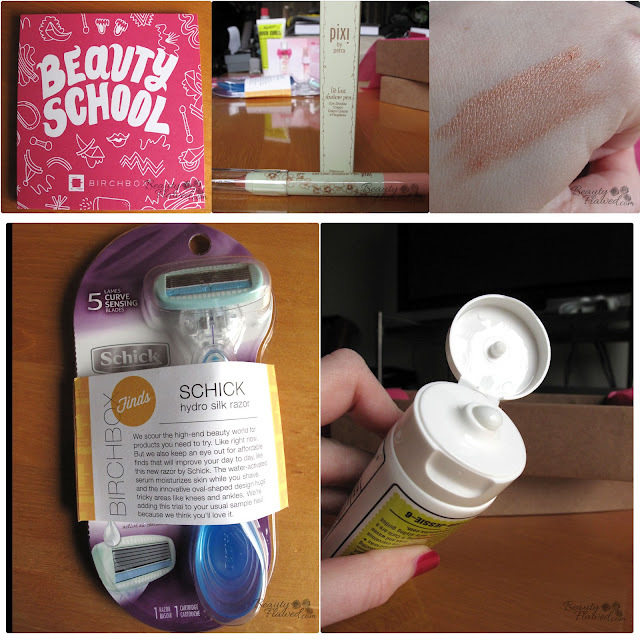 My Birchbox arrived a few days ago but I haven't had the chance to post it up. I think that the box I received is good but I do feel my Glam Bag this month topped it. Other's who got Birchboxes this month have been reporting that they feel a bit underwhelmed by the items. I can defiantly see why people are saying that as this month Birchbox ended up sending out repeat products to consumers who hadn't yet tried them. I think that took a little bit of the excitement away from the box. Overall the theme is interesting and the booklet it came with was an interesting read. I can see how it would be very informative to someone who doesn't follow the beauty world closely. I've used a simliar product form Almay before so I was happy to get more however I do think they could have included a few more. I've alway been a fan of their line of scents and this is another great smelling perfume by them. While I'm not a big fan of perfume samples in boxes this one get's an extra point because it has a spray top! This is an intereting product and I will give it a try I'm just not sure I'm in love with it's scent. This swatched a little dry at first but once I got it going it came out nice. It really has some lasting power it was a pain to get off my hand. I like the color this is Peach Pave. I'm all about getting free razors they are so expensive now a days I always jump on the bandwagon to snag one for free when I can. I actually have one of these that I did get for free from the company and I really like it so it will be nice to have an extra. This month there were 37 different box variations that included samples from past boxes. I think I got one of the better boxes this month and I'm happy with it. 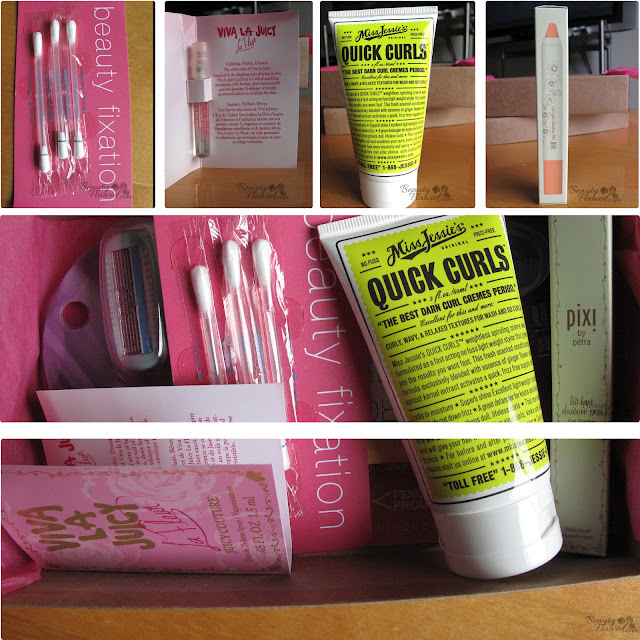 Whats your take on the August 2012 Beauty School Birchbox? Ugh, now I'm dreading opening mine. I'll probably get the lip tattoos or something again. What a bummer they're just reusing left over products. :( Thanks for the review though! Whoo the pixie shadow pen looks nice to try. The Pixi stick is lovely!!!! omg I only received TWO of those little makeup swabs! Not that I care a whole lot since I don't think I'll use them, but still grr Birchbox haha I really wish I had gotten that color in the pixi pen instead of black...it looks gorgeous! Girl I don't know if I should subscribe to a beauty box subscription or live vicarious through you. The pixi stick looks good and I agree, a razor is always nice to have as refills are so expensive. You know I quit birchbox a few months ago and the reviews I've been reading have been pretty consistent with my opinion on their service. It's really disappointing to hear that Birchbox is reusing products from past boxes. They have quickly become one of the biggest monthly subscription services for beauty and I think that they owe their subscribers more than that. Plus the items that you received in this particular box aren't super exciting. Maybe they're going downhill from here, which would be a shame. great goodies! Enjoy! Hope you are having a wonderful day! *Giveaway* - Win this Osacr de la Renta Scarf!